16/04/2019: Tuvimos una comida encantadora en Mowlana. El servicio fue amable y la comida deliciosa. Teníamos increíbles guisos de cordero terrosos, ambos muy diferentes pero con bolsas de sabor, y también un muy buen Fattoush. Justo lo que estábamos buscando. Rápido, fresco, amable y saludable. ¡Gracias! 29/03/2019: I came to mowlana after work for a quick dinner alone, I missed there food I’ve been many times before but haven’t come for a whole due to circumstances however it did not dissapoint! I had a hummus, dolmeh and nan bread for starter which was delicious. Cooked perfectly and the food is FRESH!!!! I had a joojeh for the main, the chicken was full of flavour, soft and yummy! For desserts I had Bastani which is homemade saffron ice cream. This was very delicious! I would definetly recommend this to anyone visiting for the first time or regular! The service was really good by Dee and Marius I believe. Lovely service and waiters, this resturant really is golden. 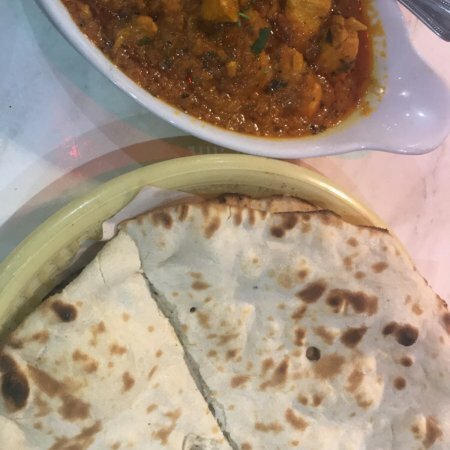 08/03/2019: Bursting with flavour, extensive menu, service with a smile, large portion sizes and very affordable! 25/02/2019: They somehow managed to poison my vegetarian meal?!?! Absolutely DISGUSTING. I have been sick all day from going there. I dread to think how they handle their food. 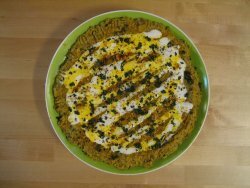 I went there and had the Aloo Gobi vegetarian meal and it was ok - not the best. The service was absolutely awful the waiter stood at one corner of the table - as we had a big table - and couldn't be bothered to come and ask us what we'd like to order and so we had to shout over each other even then they didn't really listen. They brought the food out and again they were too lazy to come and serve us so just gave it to us to pass along which made us drop things. They made several mistakes with our order and we had to keep asking them to get the missing items. The costs of the drinks were ridiculous as cans cost £1.50 and they failed to let us know how big the bottles were and so we could've saved money. They then promised us a discount for paying in cash and didn't give it to us so we had to go and ask them again. Service is absolutely terrible and I'm never coming here ever again and I'm telling everyone I know to stay clear because who wants to pay £10 for a dinner that makes you throw up, shake and have diarrhoea for days after. 08/04/2019: First time at the restaurant and I can say is that I would 100% come again. All staff made me feel very welcome. Look past the dated decor.. never judge a book by its cover. When my starter came out! Wow is all I can say. Me and my pals were in salt and pepper heaven! All the food was piping hot and we enjoyed everything that was presented to us! 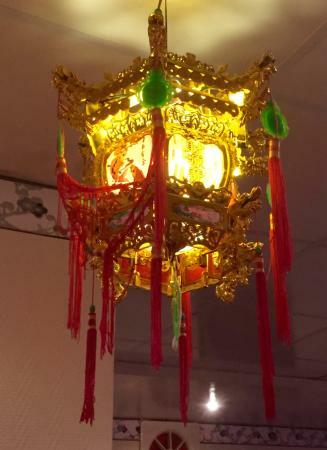 One word of advice for any people feeling apprehensive about of a Chinese all you can eat... don a pair of maternity pants and get yourself down to penylan! 07/04/2019: Best all you can eat I’ve tried. Inside is a bit dated but the food is amazing. Drinks are pricey but they have to make money some how. 21/10/2018: It is now a Kurdish restaurant. The staff either couldnt or struggled with English ! It was a local gathering place for people inside and walking in and out the kitchen. Whwn I camw ro pay the bill They take cash only.. Never again !!!!!!! 26/01/2018: This place was truly a diamond in the rough the staff the food and the quality was amazing. I had been to this place many of times and i am saddened to see it has closed people really do not appreciate what they have. 16/08/2018: This is an excellent restaurant with a better and more interesting menu than other restaurants nearby. 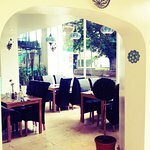 It also has its own middle east bread oven which produces scrumptious hot flatbreads ideal with its starters or main courses. 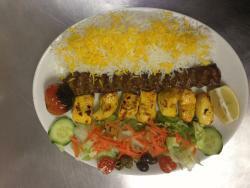 It offers a range of charcoal grilled kebabs or stew dishes plus salads and desserts. Give this restaurant a try and you will soon want to go back for more. 08/04/2018: The waitress made a mistake and gave us a different order. When we asked for changing the order, the chef and the waitress lied and told the order is the same as the wrong one!! Mistakes happen, but do not lie! I told them that I know the difference between them and showed them the obvious difference from the menue description. They finally changed the order but with rude behaviour. The waitress threw the credit card after charging the price instead of handing it. This is not acceptable. They also chareged one pound for the bread that comes for free with Hummus. No restaurant in the world sells Hummus without bread when you dine in. Was I supposed to eat Hummus with fork if it comes without bread! 13/08/2014: Very run down, and unclean establishment. Staff aren't really bothered enough to talk to customers. Food was mediocre tasting and on the cold side.